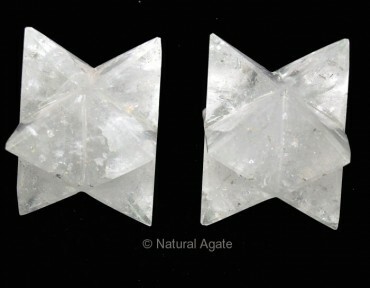 Crystal Quartz Merkaba Star 40-50 MM can be availed from Natural Agate. Crystal quartz is known for its protecting and healing power. Due to its sacred geometry, star will magnify the energy provided by the crystal.